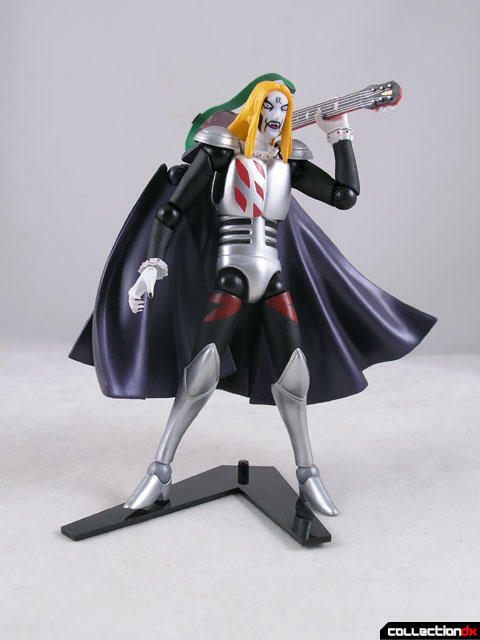 Revoltech Johannes Krauser II is available at HobbyLink Japan. 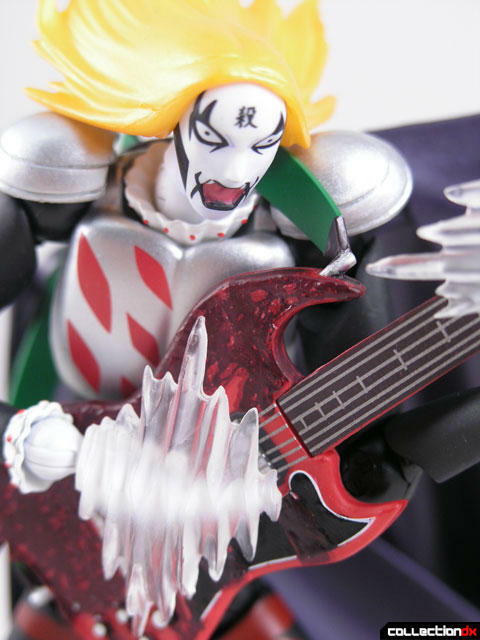 Johannes Krauser II is the lead singer and lead guitarist of DMC. 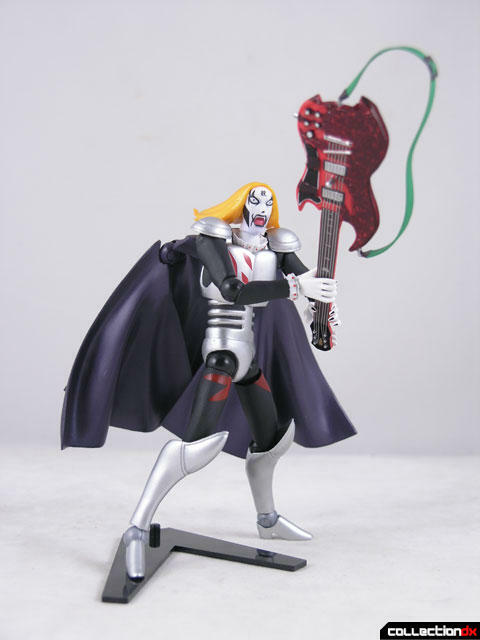 As such, the figure comes with a microphone and guitar. The guitar has a strap and there is also a peg on the body of the guitar. This is for when you replace the clear "motion hands" - you can secure one to the guitar. The build is fine, the articulation is fine - typical revoltech. 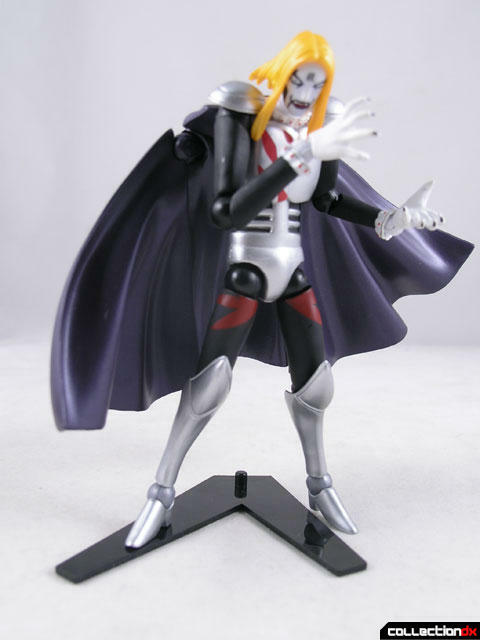 There are two swappable heads, and several option hands. The cape is jointed and made out of four separate pieces. 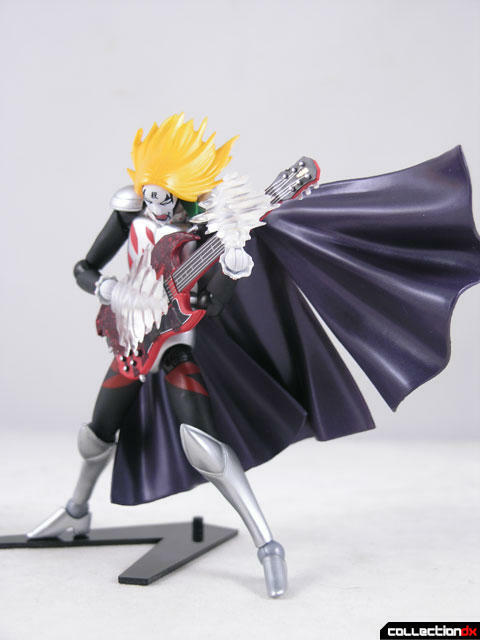 Of course, included is the typical Revoltech stand. 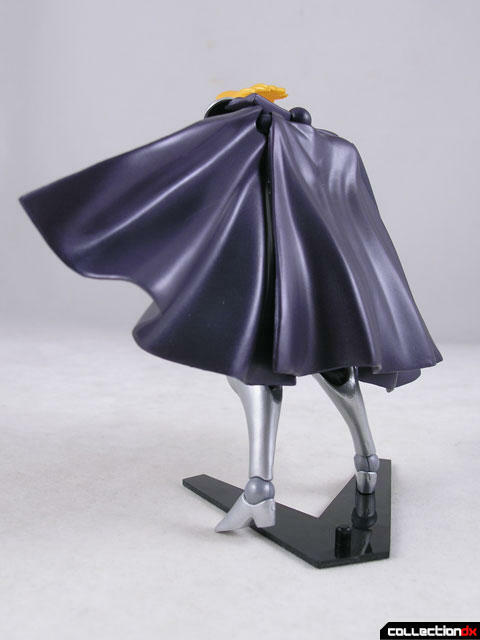 You kind of need it with this figure, the cape makes him very top heavy. 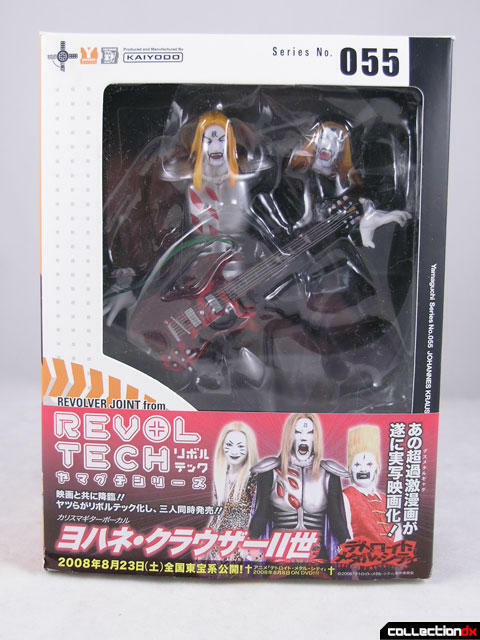 You can be ahead of the cool kids by getting your Johannes Krauser II at HobbyLink Japan.